Retargeting might feel creepy, but it has lots to offer, unlike your typical online stalker. Although consumers are increasingly savvy when it comes to shopping and surfing online, it can still be off-putting to see the pair of sneakers you were just checking out on Amazon pop up in your Facebook News Feed moments later. From the retailer’s point of view, however, retargeting is a crucial element for keeping consumers’ attention. And does it actually create a better experience for consumers online? Let’s find out! Why are my dream sneakers following me? I can’t tell you how many times, as a consumer, I’ve been interested in buying something and begun the process – then as a member of the ‘ADD generation’ gotten distracted and clicked off onto something else. Afterwards, I thank God for that retargeted ad driving me back to what I was interested in. A retargeted ad in your email or social feed that puts you back on track after a case of article interruptus is a courtesy, really. But ensuring consumers see it that way takes finesse, so it’s important that businesses offering retargeting get it right. Retargeting doesn’t require personal information, but instead operates on anonymous IDs such as a cookie or an IDFA (Identifier for Advertising). Users also have control of these IDs and can delete or reset them. People often forget that advertisers are very much aligned with internet users in that we don’t want to serve ads that won’t be effective. So what makes an ad effective – from the consumer’s perspective? Given that “On average only 2 percent of your website’s traffic buys a product or completes a desired action,” according to Meteora, it’s important that retargeting vendors – like ReTargeter, to name another – use audience retargeting to customize ads using “demographic, geographic, behavioral, contextual, interest, and intent-based data to target your ideal audience” insuring ads are effective. Can you call it creepy if it’s working? And it works, that’s for sure. 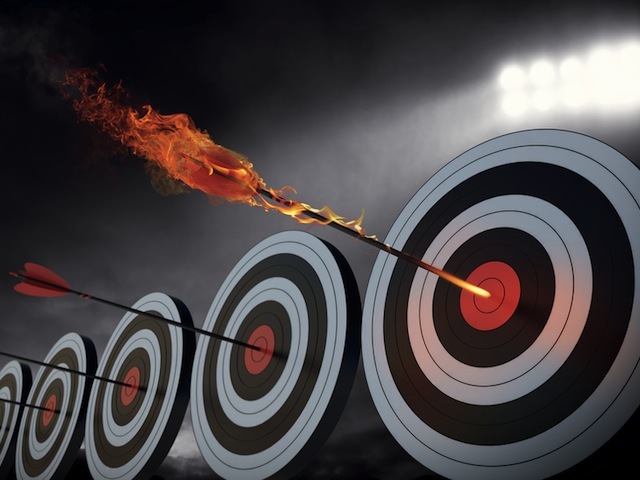 Ratcliff shared a notable stat from SeeWhy (now part of SAP): “26 percent of customers will return to a site through retargeting. This is up from 8 percent of customers who return to a site without retargeting.” That’s quite a jump. Retargeting on Facebook, specifically, does even better: In AdRoll’s Retargeting on Facebook by the Numbers 2015 report, when adding Facebook to an existing display retargeting campaign, advertisers saw a 92 percent increase in impression reach, 9 percent drop in cost per thousand impressions (CPM), and 27 percent decrease in cost per click (CPC). And globally, they observed a 31 percent year over year (YOY) average increase in spend per advertiser. Well, as Ratcliff notes, just because you click on something doesn’t mean you are interested enough to need reminding — so it can be a risky spend if you don’t offer a strong product. And if your retargeting vendor isn’t on top of changes to the frequency or length of time an ad will appear in consumers’ feeds, you can actually push people away. Bottom line: Retargeting done right is a definite value add all around. Done wrong? Adds to the noise. So the next time you see a retargeted ad that really hits the mark, be grateful they exist. Because without them, you’d be inundated online with irrelevant ads, and likely paying for this privilege too – as advertising revenue is what helps keeps content you find online (like this post) free. Readers: Do you understand retargeting better now?